Discover how you can take charge of your own health — keeping yourself young, energetic, attractive, and free of degenerative diseases! Discover the biblical injunctions on diet and health, and the amazing correlations between them and modern scientific research. God Has a Wonderful Health Plan! 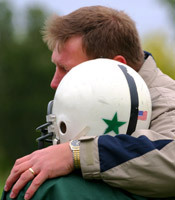 We will show you multiple ways of accomplishing each of these three objectives. 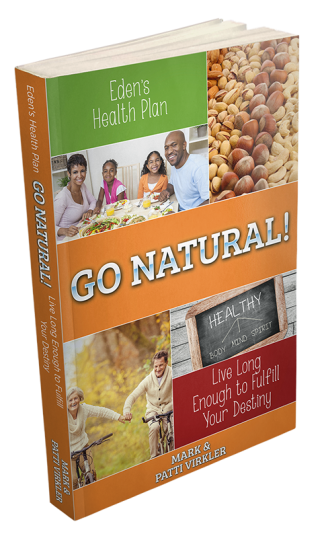 What Is in the eBook Eden's Health Plan - Go Natural? 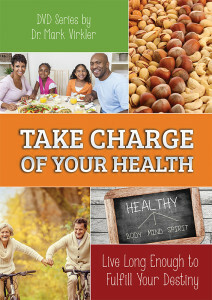 Mark and Patti researched 100 books on health care before writing Go Natural and the topics they cover show the breadth of the approach they take in maintaining excellent health. Subjects explored include: the Genesis diet; understanding how our bodies fight disease (the lymphatic system); living land, living food, living water; pure air; non-toxic household chemicals; colon cleansing; vitamins, enzymes, antioxidants, herbs; exercise; faith, hope, love; Spirit-anointed healing prayer; fasting; and tissue cleansing. 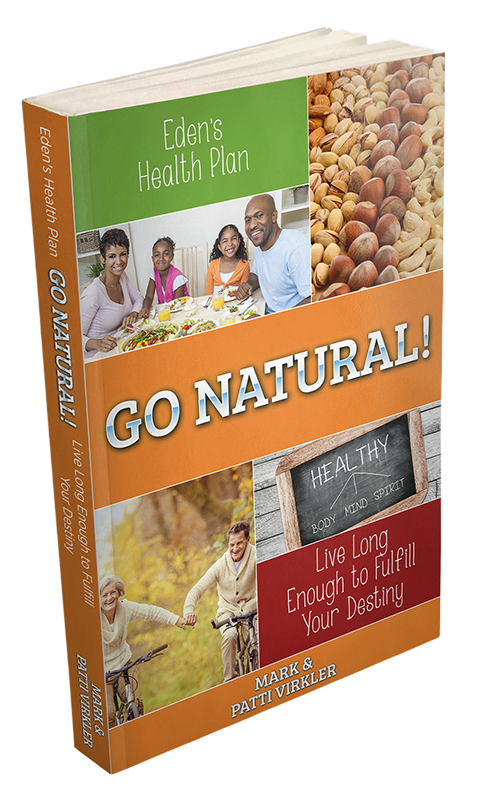 What Makes the Eden's Health Plan - Go Natural! Message So Unique and Effective? Practical, biblical approaches to health care that work! We understand God designed our bodies to heal themselves. You discover what tools your body needs to maintain health. You can provide these tools to your body. We integrate biblical commands and scientific research with real life results. 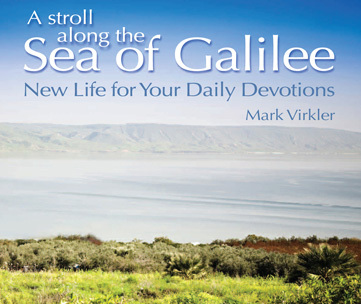 You explore approaches the Bible teaches for living in health. You see how medical research is proving the accuracy of the Bible in the areas of health. You learn the approach the Bible teaches for discovering truth. You apply the Bible's method for discovering truth to various health care modalities. By utilizing multiple approaches together you arrive at health more quickly. Every approach we recommend is compatible with the Bible, so you can have peace. Healing generally occurs from the inside out. You apply cleansing to your spirit, soul and body. for each area we explore. You gain a better understanding of the steps you need to take. You acquire an increased ability to walk in the divine health. We suggest many resources for additional consideration and application. You can follow up any topic that interests you in greater depth. The resources we recommend are those we confirmed were beneficial to us. The Take Charge of Your Health Videos and MP3s correspond with the Eden's Health Plan - Go Natural! ebook. For maximum growth and internalization, we recommend utilizing it along with either the audio or video set. One copy of the book per family is fine, or one for each individual is ideal. For maximum results, draw together some friends into a home group or Sunday school class and watch the videos over a 12-week period. Begin applying the keys to health in your own life and share your results together. The videos bring an anointed trainer to your group, and your interpersonal sharing gives you instant feedback and encouragement as you take personal responsibility for your health. An unbeatable combination! These are ideal for focused learning with the Go Natural book and for use in classroom settings. They are identical in content to the MP3s. For maximum results, draw together some friends into a home group or Sunday school class and watch the videos over a 10 - 12 week period. Discuss and practice what you are learning and share together the improvements in health that you are experiencing! The videos bring an anointed trainer to your group, and your interpersonal sharing gives you instant feedback and confirmation that you on the right track! An unbeatable combination. These are ideal for repetition and review as you drive, work or exercise. Hearing Mark teach this series releases an impartation, revelation and spiritual understanding which, if internalized, will provide you effective tools for maintaining and restoring health. Mark shares his struggle and story in a humorous and down-to-earth way that relates to every listener. 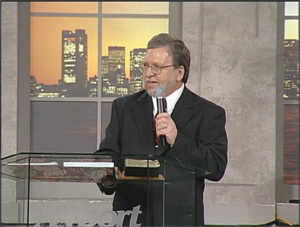 Every time you review this series the Holy Spirit reveals more to you. Do yourself a favor and listen to them over and over until the revelation is complete. Rushing on to another topic without internalizing this truth does not result in cultivating Christian spirituality. TakeChargeOfYourHealth.Today offers the top products that Mark Virkler uses as part of his daily regimen, plus his health-related blogs and links all topically arranged. Health Mastery through MRT is a way for your body to communicate to you its health needs. Restoring Health Care as a Ministry recommends Christian healthcare clinics. Testimonies from Those Who Have Practiced the Principles of Eden's Health Plan - Go Natural! "At last a helpful, complete and balanced look on natural health and healing which doesn’t ignore or avoid the spiritual side of the equation. Written from a warm Christian perspective with sensitive wisdom without the preachy flavor." "As a result of practicing the truths in Go Natural!, I went down four dress sizes!" "I found your book, Go Natural! to be packed full of valuable suggestions for better health. Great statements such as `Cancer is not a disease. It is a symptom of an insufficient immune system’ are of inestimable value, emotionally, physically and even financially. I am glad to recommend it." "Fasting has had excellent physical consequences for me personally. I have been fasting after 2:00-3:00 p.m. daily and this combined with gradual change to the Genesis diet has had great physical benefit. I have lost weight, gotten off all my stomach medicines and am just about completely off my hypertension medicine. So, I too can testify that fasting combined with eating right solves physical problems." 2000 B.C. - Here, eat this root. 1000 A.D. - That root is heathen. Here, say this prayer. 1850 A.D. - That prayer is superstition. Here, drink this potion. 1940 A.D. - That potion is snake oil. Here, swallow this pill. 1985 A.D. - That pill is ineffective. Here, take this antibiotic. 2000 A.D. - That antibiotic doesn’t work anymore. Here, eat this root.